Throughout the 20th century, IQ scores steadily climbed. But a one study shows that for the past few decades there has been a downward trend in IQ scores, and “environmental factors” are believed to be one of the causes. For the study, researchers from the Ragnar Frisch Centre for Economic Research in Norway examined the IQ scores of approximately 730,000 Norwegian men born between 1962 and 1991. They found that IQ scores grew by almost 3 percentage points every decade among men born between 1962 and 1975. However, researchers saw a decline in IQ scores among those born after 1975. The downward trend is in stark contrast to the Flynn effect, a term used to describe the rise in IQ scores over the 20th century. Rogeburg and his colleagues found that the Flynn effect peaked in the mid-1970’s and has dropped steadily ever since. Yes, there may be a genetic component to all of this, but researchers believe whatever that component is, it holds less clout than our environment. There was a substantial variance in IQ between parents and their children, but also a variance in siblings born to the same parents. These are just guesses for now. More research needs to be done to zero in on the environmental factors that may be influencing IQ scores. First, let’s look at processed foods. In one study, researchers found that if children started consuming a processed diet by the age of 3, IQ decline could begin within the next 5 years. 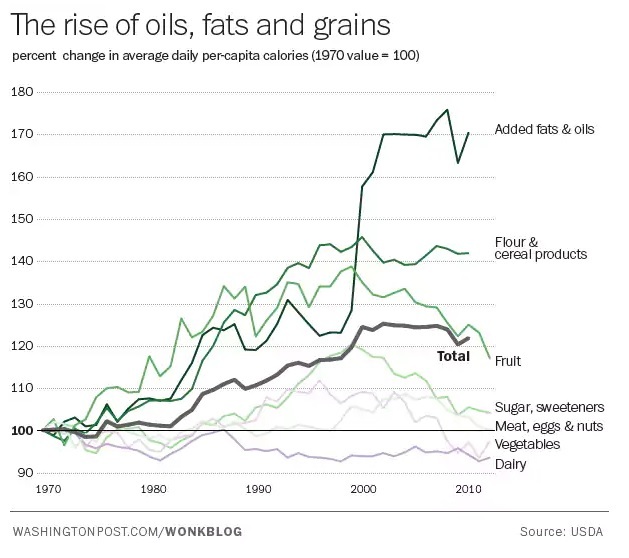 Processed foods have been around since the late 1800’s, but there has been a a 92% increase in per capita intake since 1970 of oils, fats, and grains, according to The Washington Post. 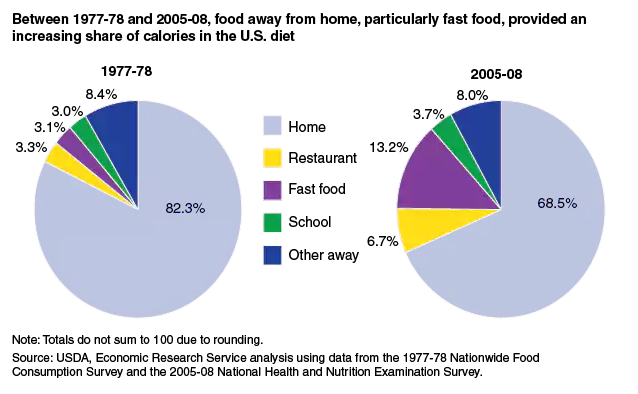 That fact alone isn’t too concerning, but Americans are eating significantly more added fats and oils, flour and cereal products – the same kinds found in processed foods. Then, there’s fluoride. The vast majority of the United States has fluoridated water, but that’s far from the only source of the chemical. The government allows a number of foods to be fluoridated, including iceberg lettuce, citrus fruits, potatoes, and raisins. Then, you brush your teeth with fluoridated toothpaste. You might not give much thought to how much fluoride you come into contact with on a daily basis, but this list will open your eyes. Vehicle pollution and tobacco exposure has also been linked to lower IQ as well as prenatal exposure to flame retardants. We could list more potential causes of lower IQ, but we’d be here all day. It seems that many of the things intended to make life easier and/or make us healthier may be having a detrimental effect on our minds.